The Den01263 715779work01603 870304fax Self-cateringA spacious light and airy Scandia-Hus detached bungalow set in large gardens with its own path through the dunes to the fantastic beach beyond. Good family accommodation, comfortable and spacious. The Den offers weekly bookings starting on Friday. 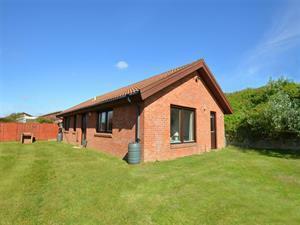 A spacious light and airy Scandia-Hus detached bungalow set in large gardens with its own path through the dunes to the fantastic beach beyond. Good family accommodation, comfortable and spacious.